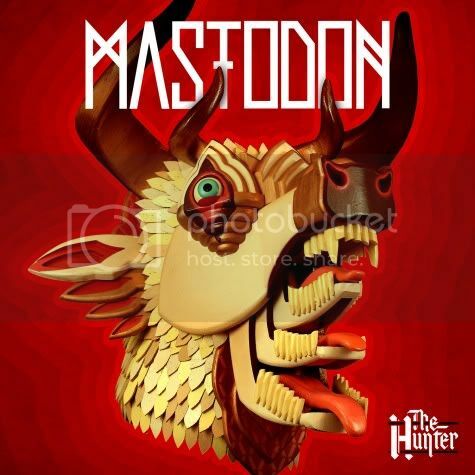 Puresinner - music reviews, previews and news: Mastodon Releases First Single "Black Tongue"
Mastodon Releases First Single "Black Tongue"
It's been two years since the critically acclaimed Crack The Skye was released, and now Mastodon has released their latest single, Black Tongue, with an accompanying video showing the process of creating the album art for the upcoming album, The Hunter. On first impression, the vocals on this track is not reminiscent of anything Mastodon has ever done. In other words, it's too clean and clear but I'm kinda digging it overall with the music, cause that's where Mastodon rips it apart. And on a more fanboy comment, I love that part when Troy sings "You've run out of light/life/lies, you've run out of time", then an epic guitar section comes in. So the new album will be released on September 27 and I'm psyched about it. Super psyched. Puscifer releases single "Man Overboard"
NEW APC TRACK PERFORMED LIVE!